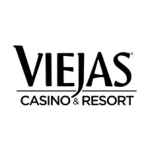 "We’re thrilled to see the entire property come together and are proud of all the incredible improvements"
SAN DIEGO--(BUSINESS WIRE)--Viejas Casino & Resort today announced the completion of its seven-year renovation and expansion. Since initiating the project in 2011, the popular destination has constructed three hotel towers, redesigned the entire property, and launched a new and extensive center bar and high limit gaming area. The project completion follows closely behind the opening of Viejas Casino & Resort’s recently developed adult-only destination, Willows Hotel & Spa. The new, stylish 1900-square-foot, 360-degree center bar includes 50 seats with gaming machines at each seat, 18 65-inch televisions wrapping around the entire bar and caters to both small and large groups. The center bar has its own 24-hour sports bar-style food menu, and features an extensive alcohol list, with wine and beer on tap including the recently launched Viejas Golden Blonde, a light and refreshing blonde ale created in collaboration with Mission Brewery. Center bar’s design incorporates various architectural elements including tile, stone, geometric shapes, and bright colors with the intention to make a bold statement as the new centerpiece of the Viejas property. These specific design elements were selected with the goal of accentuating the height of the center bar by guiding the eye from floor to ceiling and offering guests a big, open space for imbibing and socializing while on property. The third and most recently constructed hotel tower is home to Willows Hotel & Spa, which opened in February 2018. Designed to embody modern elegance and luxury, the adult-only hotel offers guests a serene, architecturally-stunning escape that pulls the surrounding scenic mountainscapes into the property. Willows Hotel & Spa has 159 VIP suites, luxury spa facilities, a fitness center, signature restaurants, including Locale Kitchen & Lounge, Ginger Noodle Bar and Daily Roast, as well as an expanded gaming space. 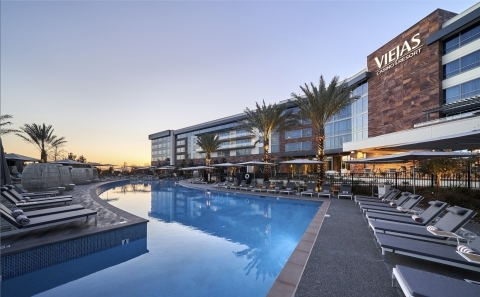 The first two hotel towers opened in 2013 and 2015 and make up Viejas Hotel, the property’s family-friendly destination that features 203 luxury rooms and 34 VIP suites. In addition, Viejas Hotel includes a lush, spacious pool and lounge area, two modern fitness centers and two especially user-friendly business centers that enable guests to work and play. 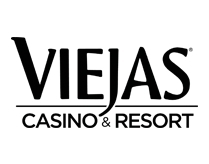 Viejas Casino & Resort began the renovation and expansion project with the intention of providing an unmatched guest experience and to design the most luxurious escape among Southern California competitors. In the wake of these revamps, Viejas Casino & Resort has evolved into San Diego’s premier luxury gaming resort and regularly receives industry accolades, including annual rankings as a AAA Four Diamond Hotel and Forbes Travel Guide 4-Star Resort. Most recently, Willows Hotel & Spa was named Best Hotel during the 14th Annual HOSPY Awards hosted by NEWH, the hospitality industry’s leading networking organization. Located at I-8 and Willows Road east of San Diego, the Forbes Travel Guide 4 Star and AAA Four Diamond Viejas Casino & Resort features world-class gaming with thousands of slot machines, exciting table games that include Blackjack, Baccarat, and Pai Gow, a modern and elegant bingo room, and an off-track betting facility. Viejas Casino & Resort also features a variety of restaurants including the AAA Four Diamond Grove Steakhouse, The Buffet, and The Café. The beautiful Viejas Outlets, located across the street from the casino, offers visitors a unique shopping experience with highly acclaimed stores, numerous eateries, Viejas Bowl, and during winter Southern California’s largest outdoor ice rink. Viejas Hotel features 203 luxury rooms and 34 VIP suites, including a lush, spacious pool and lounge area. The highly anticipated new adult-only tower, Willows Hotel & Spa is now open and offers an additional 159 VIP suites, luxury spa facilities, signature restaurants including Locale Kitchen & Lounge, Ginger Noodle Bar and Daily Roast plus an expanded gaming space.